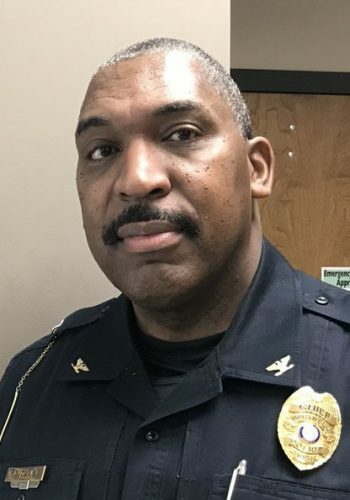 Hartwell Police Chief Anthony Davis has been named as one of two representatives to the Georgia Association of Chiefs of Police organization. Lavonia Police Chief Bruce Carlisle said Davis will be filling a seat vacated by the retirement of another member. “I’d like to take the opportunity to congratulate Hartwell Police Chief Anthony Davis on being appointed as a representative for District 9 to the Georgia Association of Chiefs of Police. Chief Davis will be replacing retiring Gainesville Police Chief Carroll Martin, who will be retiring at the end of this month. I serve as the other representative for District 9 and I also serve on the executive board for district representatives for the entire state,” said Carlisle. Carlisle said Davis would be a voice for all of the police chiefs in District 9. “Through the Georgia Association of Chiefs of Police, the state is divided into 11 distinct districts; there are two representatives from each district; and Chief Davis will be serving in a leadership role in the Goergia Association fo Chiefs of Police. His duties will include representing and being a voice for the chiefs in District 9 which include the larger counties of Gwinnett, Forsyth and Hall counties, as far south as Morgan and Greene counties and as far north as Towns, Union and Rabun counties. It encompasses all of Northeast Georgia and I’m excited to serve alongside Chief Davis,” said Carlisle. According to Carlisle, the appointment came from the current sitting president. “The appointment was made by the current president of the Georgia Association of Chiefs of Police Chief Joseph Wirthman of the Jefferson Police Department. Again, I congratulate Chief Davis on this honor and this great accomplishment,” said Carlisle. District 9 includes Banks, Barrow, Clarke, Dawson, Elbert, Forsyth, Franklin, Greene, Gwinnett, Habersham, Hall, Hart, Jackson, Lumpkin, Madison, Morgan, Oconee, Oglethorpe, Rabun, Stephens, Towns, Union, Walton and White counties.